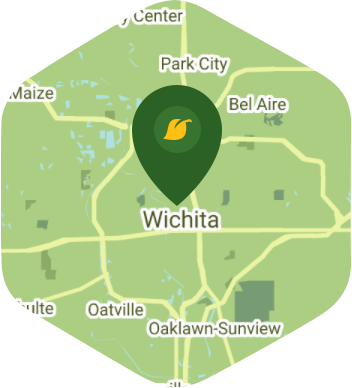 Book a skilled gardener in Wichita. Backed by a total satisfaction guarantee and amazing customer support. Most people often associate the state of Kansas with farms and cows, but you know that there is more to this place than just wheat and livestock. You live in Wichita so you can attest to this fact. You have places like Old Town, the Museum of World Treasures, and Great Plains Nature Center to go to during the weekends. It is a lovely city with plenty of places that are worth visiting, but how can you visit any of these sites if your garden is in need of your attention? If it's reliable gardener service that you want then you know what company to call. Lawn Love is the best gardener service in Wichita. We have the best independent lawn pros in the industry who know how to do all kinds of gardening chores. Whether you want us to do a simple clean up or weed removal, we are the company that you can count on to get the job done. We have fair rates and a convenient online booking system that will help make booking your gardener service easier than ever. We aim to please our customers, so you can count on us to give you great results. Get in touch with Lawn Love by calling at 316-218-9454. You can also ask for a free online quote.